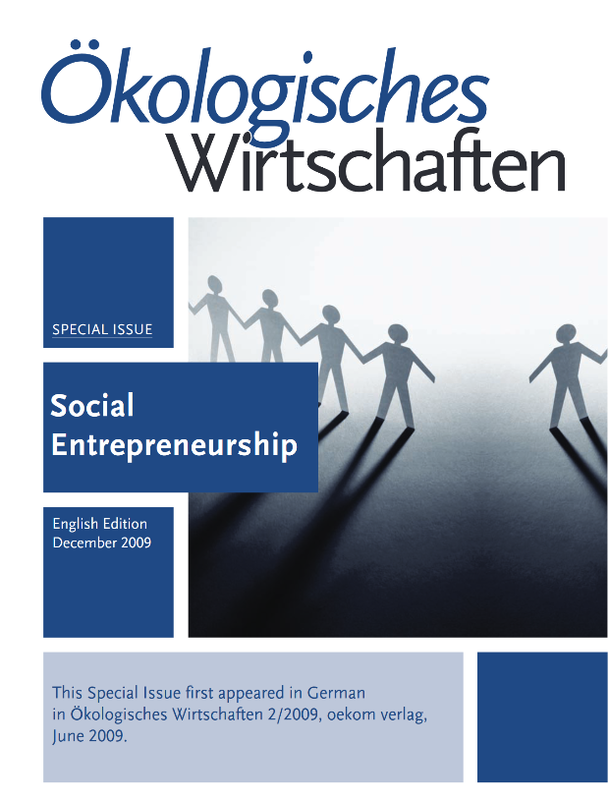 English translation of a special issue first publishe in German. With contributions by researchers and practioners (in the order of appearance): Kate Ganly and Johanna Mair; Ursula Sladek; Sophie Fabricius; Rafael Ziegler, Jana Gebauer, Franziska Mohaupt, Marianne Henkel, Lena Partzsch andJustus Lodemann; Carolin Gebel, Claudia Neusüß und Wolfgang Stark; James Austin and Ezequiel Reficco; John Elkington and Pamela Hartigan. Read the special issue. “Social innovation and the capability approach.” Journal of Human Development and Capabilities 18 (2), special issue edited by Chiappero-Martinetti, Enrica, Christopher Houghton Budd, und Rafael Ziegler. 2017. This special issues of the Journal of Human Development and Capabilities includes both a series of research articles as well as a policy forum all develoted to social innovation in a context of human development and capabilities. The introduction of the special issue with a brief summary of contributions is available free of charge from here.